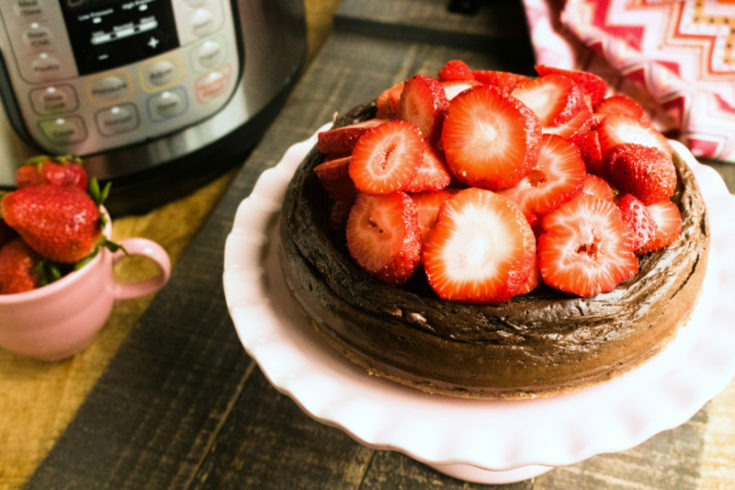 Instant Pot Chocolate Cheesecake - A Delicious Dessert! The Instant Pot is my absolute favorite, because it made Mexican rice simple and fail proof in my house. 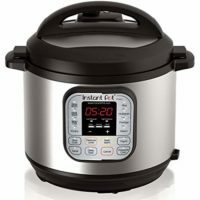 I have made so many things in my Instant Pot, and it is almost time to buy a new one, just because I use it SO often. Imagine the possibilities of having TWO! Why have I not bought two yet?? 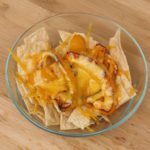 The Instant Pot not only makes delicious rice, perfect hard boiled eggs, zucchini lasagna, and cinnamon apples, along with a myriad of other foods, this genius kitchen appliance can knock desserts out of the ballpark! 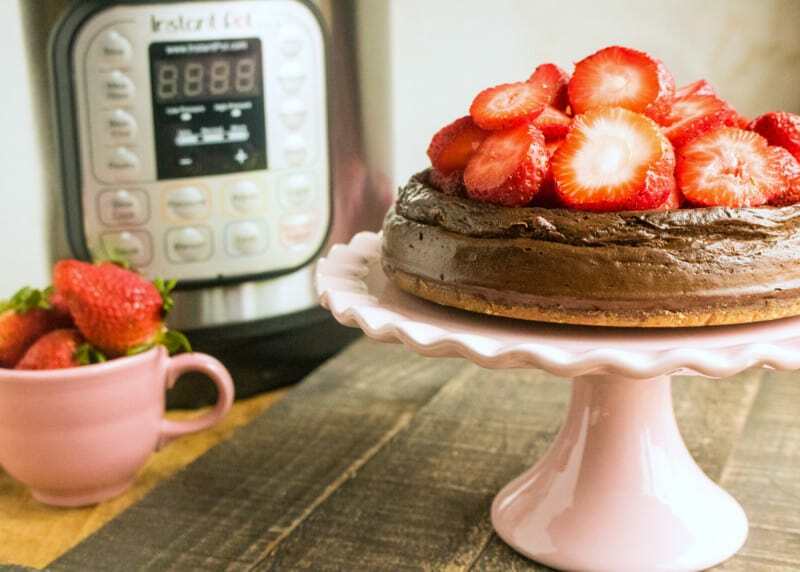 Here is a recipe for Instant Pot Chocolate Cheesecake and it of course does not disappoint! 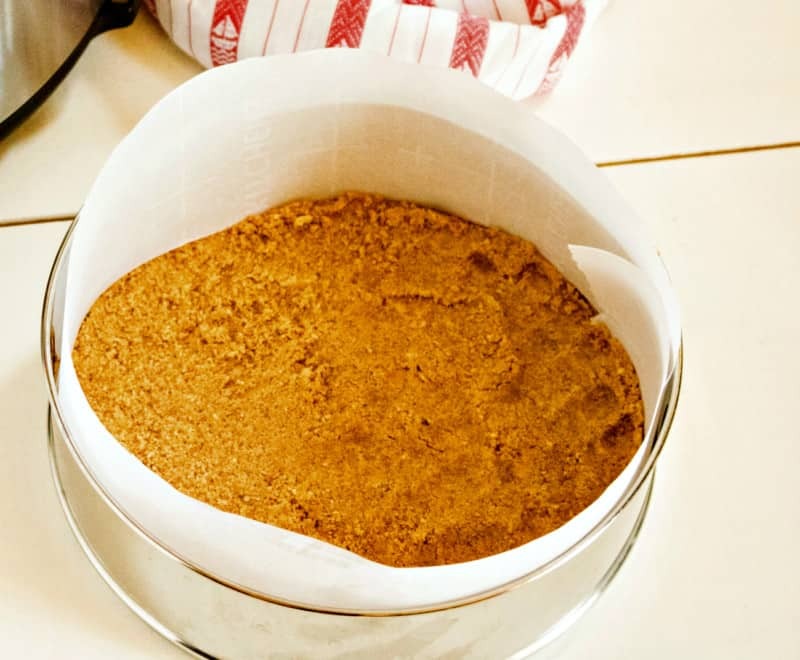 First things first, you need to find a springform pan that fits inside of your Instant Pot. 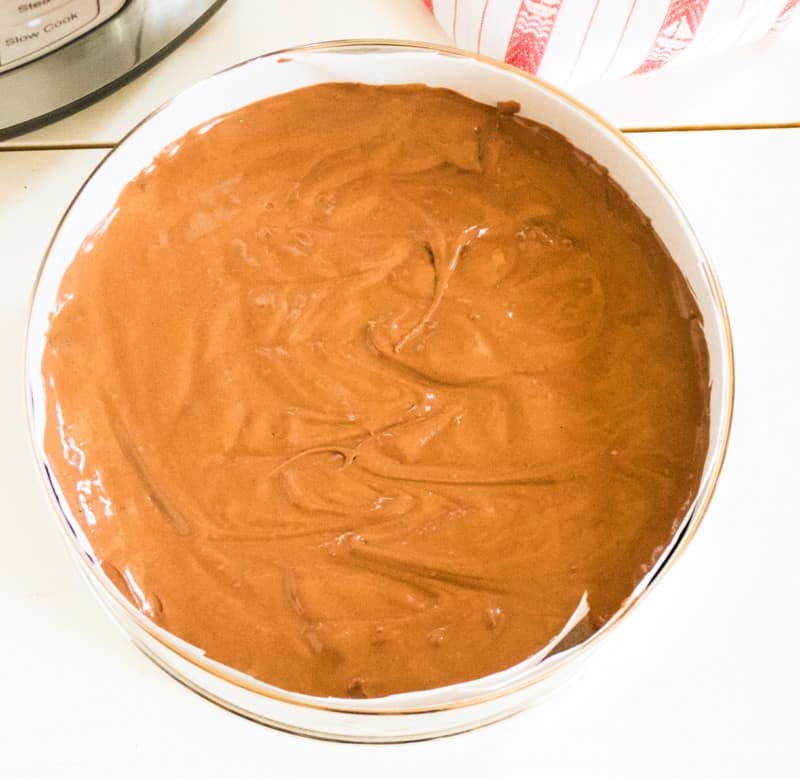 Thankfully, you can find one on Amazon, but just make sure to measure and make sure it fits your Instant Pot before you get your hopes up and start craving Instant Pot Chocolate Cheesecake! 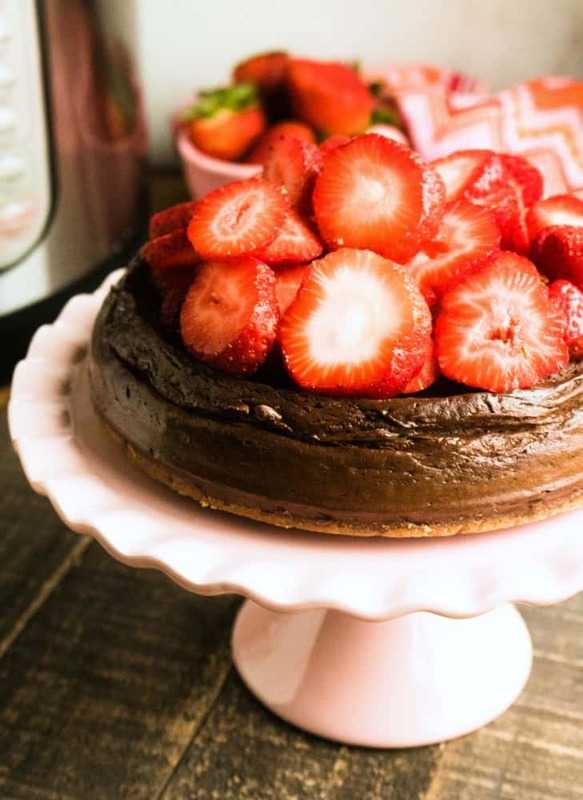 Fresh berries can make this chocolate cheesecake not only taste absolutely delicious, but it will make a beautiful centerpiece and your guests (or family!) will be in awe! If we are being honest, the cheesecake will not look too pretty…so berries or whipped cream can really jazz it up! 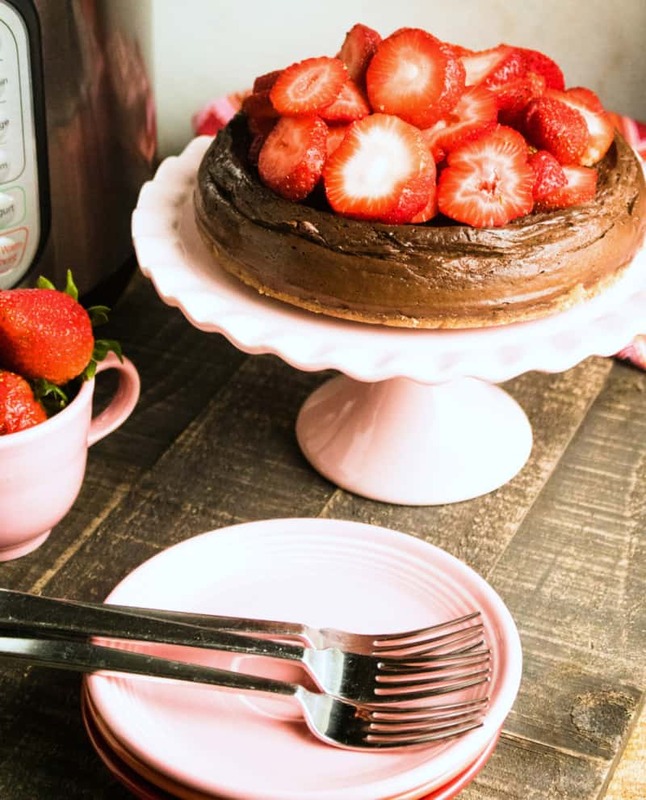 This chocolate cheesecake would be delicious after a meal of Instant Pot Orange Chicken, Instant Pot Spaghetti, or Instant Pot Korean Beef. It cooks nicely as you are enjoying your meal, but this is a prime example of why we all need two (or three!) Instant Pots. I recommend setting a price alert on Amazon to grab a deal. 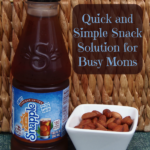 I also recommend stocking up on a few staples in case company comes! Cream together the cream cheese and sugar until smooth and then mix in the eggs one at a time. 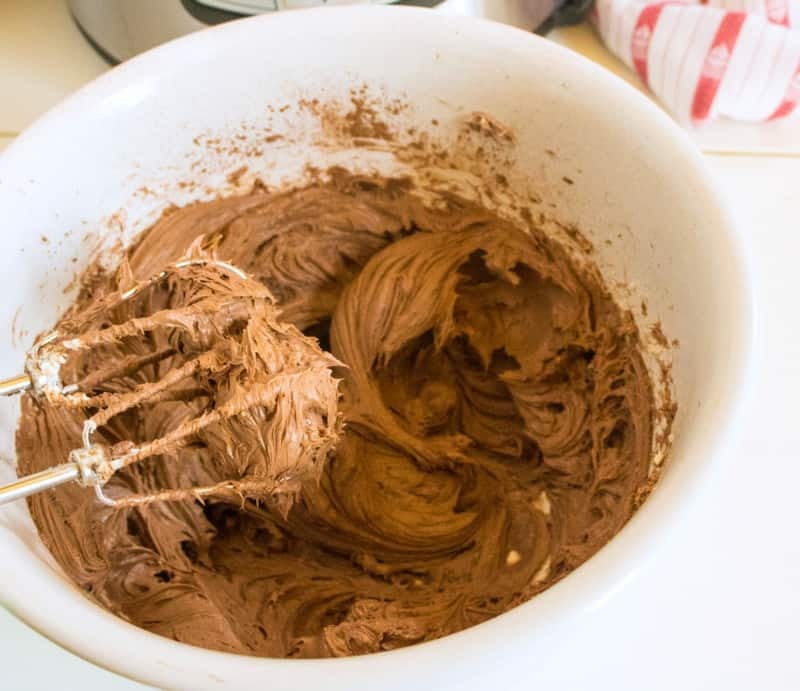 Add the cocoa powder and mix until well combined. Mix in the vanilla extract and sour cream until smooth.